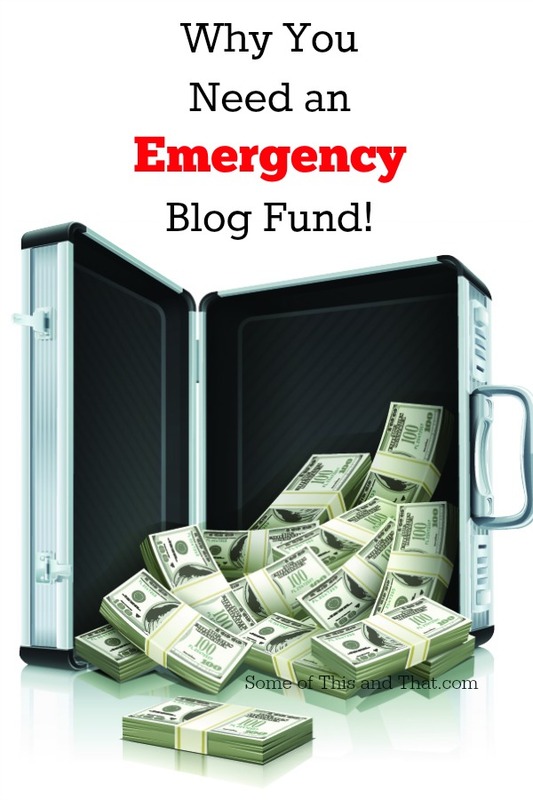 Why You Need an Emergency Blog Fund! This week has been a nightmare… pure and simple. Most people think that running a blog is easy, buy a domain, write some content and publish it on the Internet… easy peasy… right? Don’t get me wrong, it does get easier after time, you learn tips and tricks to get things done in a timely fashion, but most do not take into account the cost that is associated with a website or blog. Even sites that are hosted on free platforms like blogger are bound to have costs associated with them. If you are a blogger (or thinking about starting a blog) you know there is the cost of the domain name, the hosting, the design and even maintenance. After this week I am grateful that I have an emergency blog fund on hand because sometimes things are out of our control. This week my site was hacked, it happens more often than not in the blogosphere. If you ask around, chances are at one point or another a blog has been hacked or has been attempted to be hacked. This can cause major problems and cost major bucks to get the problem resolved. I am in school for web development, and even I was in over my head in attempting to fix the problem. It all started when I logged into my dashboard and noticed that all of my plugins were gone. My site was still loading properly and everything else looked normal. After a lot of Googling, I learned that I was most likely hacked and had malware inserted somewhere in my plugins. The first thing I did was contact my hosting company to see if they could run a scan of my site. And, sure enough, I had malware. This problem was above my head so I knew I would have to call on the professionals. This is why I am thankful that I have some extra money set aside for these problems. Even with security measures in place, things can always go wrong. Having an emergency fund for these things can be a lifesaver because depending on the problem, it cost a pretty penny to fix. This is not the first time I have had to dip into my emergency fund. I had an issue a while ago when an updated broke my site, nothing was hacked or changed, but steps had to be taken to get everything working again. This is also why it is handy to have a trustworthy and knowledgeable tech on hand. If I didn’t have that emergency fund tucked away, it may have taken days or weeks to be able to afford to get the problem fixed. You keep an emergency fund for if things break around your house, why not have one in case something breaks on your website?